Can Cats Eat Bread And Uncooked Bread Dough? We have all been there, delving past the heal, slice by slice until you are at the bottom of the bag with only the two twins remaining. You look at your cat and might think “Can cats eat bread?” There is another loaf in the cupboard so you don’t have to eat them but you don’t want the guilt of throwing them out, so should Chairman Meow help you out? Can cats eat uncooked dough? We do not have a strict yes or no to the question of whether cats can eat bread. The answer is a rather unsatisfactory, sort of. Bread can certainly be eaten by a cat, and bread will not necessarily harm a cat. 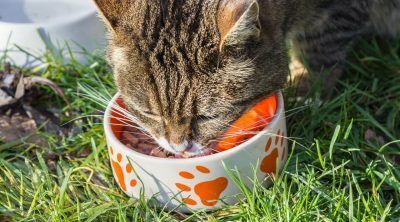 However, bread is not needed for the nutrition of a cat and is not a food a cat will find in the wild and choose to eat on his/her own. Cats have evolved to eat food sourced via meat or fish. Bread comes in many, many guises and is one of the world’s most ubiquitous staples, it is essentially baked dough made from flour and water. From Pita and Nan to waffles and muffins, and not forgetting crackers and tacos, wildly different styles of bread can be found all over the world. Bread is also used as a coating for many foods and can be eaten any number of ways. The problem when it comes to cats is the extras that are added in order to raise the humble hard tack that soldiers grumbled about throughout history to the epicurean heights of a buttery croissant with a café noir outside a Parisian Café. Being naturally inquisitive, you could certainly tempt your cat with a morsel or two of bread. Your car may particularly enjoy a nice scone with fresh cream and strawberry jam. The real question to whether it is ok to feed your cat breads, scones, and delicate treats is why would you? 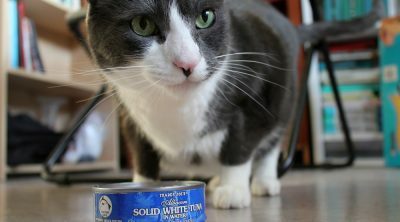 Cats do not need these foods and the mouths and bellies are quite small compared to humans and other animals. 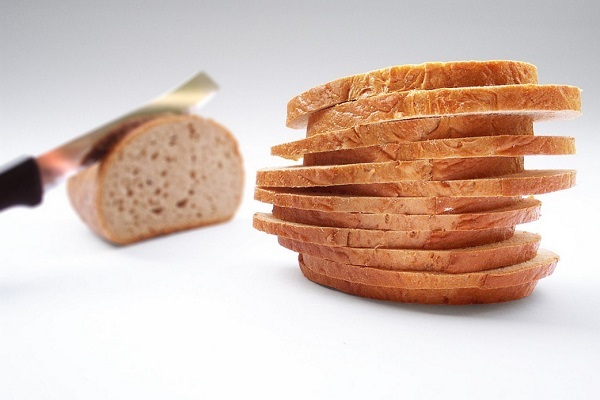 Your cat may enjoy a lick of bread, or a batch of crumbs, but feeding large pieces of bread may be too much. 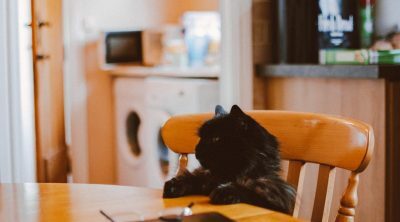 Your kitty may enjoy the cream or a little butter on your toasted brown bread, but they are getting little to no nutritional value from the bread itself. If you find you cat only seems interested in bread when cream or butter is atop of it, than you can be sure your cat is not interested in the bread itself. Offer your car a bit of cream or milk as a treat, but you should leave the bread out of the equation. Offering bread will only add calories to their diet that are unneeded. Bread also breaks down into sugar and may cause weight gain in your kitty if s/he eats too much. The only real positive aspect of offering bread to your cat would actually be the benefits fiber found in the brown bread would provide. 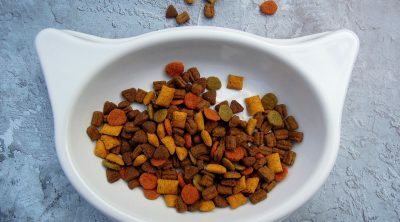 To be honest, there are healthier ways to ensure your cat is receiving sufficient roughage to keep him or her regular. In addition, cats lack the proper enzymes to fully digest most types of bread, resulting in more gas emissions. 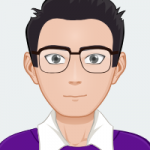 If your cat needs the added fiber and you are without other sources to offer him/her, than be sure to offer a bit of brown bread on occasion and in moderation. If other sources of fiber can be found, be sure to utilize these sources first. On the plus side, a good quality bread can be a source of proteins, vitamins, minerals, carbohydrates and as was mentioned above fiber, but so do many other foods that do not have the same draw backs. Good, hearty bread has its place in the diet of humans and can be used as a substitute with a cat, however, all other avenues should be tried first. The first main drawback is the high level of processed carbohydrate found in bread, you will doubtfully have been able to escape this fact having had to listen to Dr. Atkins disciples lecture you on the evils of bread and pasta. 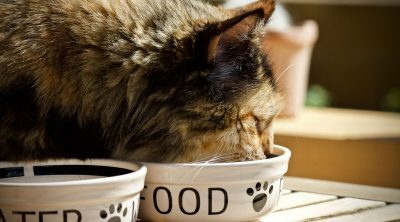 This is truer for cats as many have a tendency to be perpetually hungry and will continue to eat despite not needing to. 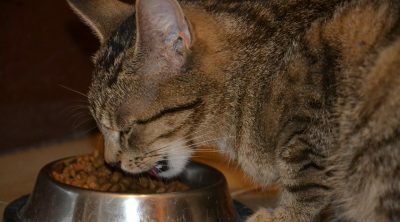 If you have a cat who continues to eat whether its needed or not, a cat fed bread will consume an unhealthy amount of carbs that will then break down into sugar. The excess carbohydrate that is not metabolized is converted into sugar, and then into fat. Obesity is becoming a real health issue for cats, particularly those confined to the house with limited exercise. A stereotype of a fat and lazy cat is becoming the norm in modern society due to the lack of activity and excessive consumption of human food. Obesity in cats leads to many health problems, just as obesity in humans. High levels of salt and the preservatives that are added to bread are also detrimental to the health of your cat. For the same reasons that we should limit our own intake of these additives. Cats are carnivorous animals and as such the vast majority of their nutritional requirements come from the meat of the animals they killed before domestication some 10,000 years ago. 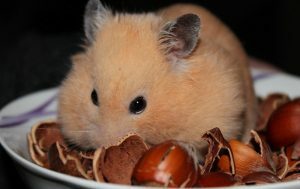 While some grains and vegetables are required (often found in the intestines of their prey) and are certainly beneficial, they can be found in higher quality kibble in your local super market. Bread is simply superfluous to requirements in this regard. No they shouldn’t. Uncooked dough can be extremely dangerous to cats. The danger here lies with the active ingredient in the dough that causes not only our bread to be light a fluffy but our favorite wine to give a rosy glow to a romantic dinner. The conversion of yeast and sugar to alcohol and carbon dioxide is one two punch for your pet. Firstly, the warm and moist environment in a cat’s stomach provides perfect conditions for fermentation. The dough will continue to rise and expand which can cause intestinal blockages and stretching of their abdomen. This can lead to severe pain and breathing and circulation can also be severely affected. Secondly, cats do not deal well with alcohol and once this process has started, it is very difficult to reverse. Cats can be vulnerable to alcohol poisoning in these cases so if you think you maybe missing some dough when baking and notice your cat displaying symptoms consistent with that of an errand teenager after an evening at “a friend’s house” such as disorientation or suspiciously deep sleep you should call your veterinarian immediately. As said before, this is difficult to treat and may even require surgery to remove the dough from the digestive system. So it really comes down to this, “Can cats eat Bread?” ultimately yes, but just a little. Maybe the more salient question might be “should I feed my cats bread? No is the answer to that, there are more cons than pros so just put extra jam on those two heals of the loaf or give them to the birds. Chairman Meow would probably prefer to watch the birds eat them anyway.